As part of a cost-saving effort of the U.S. 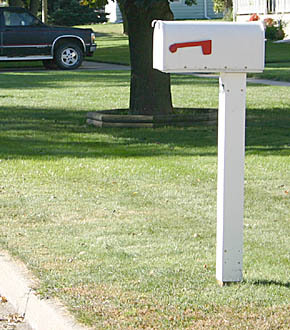 Postal Service, some Albion Carrier Route 1 mail patrons have received requests to install curbside mail boxes like the one above. About 100 requests were sent by Postmaster Tracy Stamp to install the curbside boxes by Oct. 8 in specified areas. Curbside delivery cost is about two-thirds the cost of door delivery.